Digestible Proteins and Fibres procured from high grade fruits sustain a healthy bowel movement and balances the internal flora. 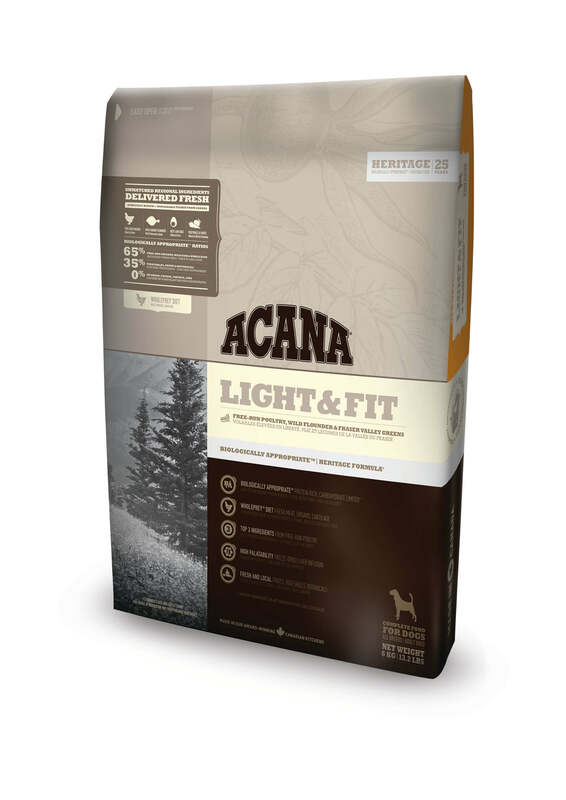 Acana Light & Fit has been specifically crafted from ingredients with high levels of proteins yet low levels of carbohydrates for plump pooches. 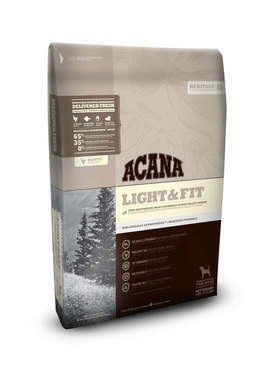 It is a biologically appropriate diet that strives to imitate the natural whole prey diet of dogs by incorporating the ingredients sourced only from free-run chicken and a variety fruits. The high quality digestible construct and repair muscles and tissues. The vitamins and minerals procured from kidney and tripe make sure that the immune system works at optimum level and helps your dog stay active. The bones and cartilage are known to provide calcium and phosphorus that fuse together to work towards a healthy development bones and teeth. Wild-caught flounder has also been incorporated into the recipe which contains high amounts of omega-3 fatty acids. EPA and DHA present in Omega-3 improve cognitive skills, reduce dermatitis and other skin allergies, and strengthen the cardiovascular muscles. 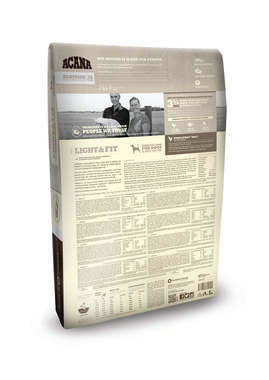 Nest-laid eggs, another major ingredient, also contain high quality proteins that are easily digestible. Furthermore, the producers have made use of a significant amount of vegetarian ingredients such as pumpkin, pears, and squash that are loaded with fibers to promote a healthy digestion.